It was the era when swallowing goldfish and sitting atop flagpoles made you a big man on campus. At the height of the Depression, college students struggled to pay for their education and living expenses, leaving little additional cash for extracurricular entertainment. Ever resourceful, the young men and women, who later gained fame as “The Greatest Generation,” developed their own inexpensive diversions - dancing in all-night marathons, listening to network radio shows, and playing harmless pranks on one another. My father, Weldon Edwards, and his best friend, Les Stephenson, learned to swallow goldfish at McMurry College, a tiny Methodist school in West Texas. As famous as that made them around campus, they acquired an even bigger name by mastering the art of the practical joke. Honing their skills on naïve freshmen and should-have-known-better sophomores, these aw-shucks farm boys tested the patience of college faculty and administrators, themselves the victims of periodic tomfoolery. On one occasion, Weldon and Les borrowed a Holstein cow from a local dairy farmer and stashed her in the backyard of a friend’s house near campus. Around midnight, they haltered the compliant bovine and sneaked her into the darkened Administration Building, leading her up the columned stairs and into the college president’s office. When the straight-laced administrator opened his oak-paneled door the next morning, he was greeted by a cud-chewing Holstein heeding nature’s call on the polished marble floor. Having a good idea who was responsible for the stunt, the president immediately summoned the two farm boys into his office. Without admitting their roles in the caper, they helped clean up the mess and led the Holstein back down the stairs. Employing animals in an altogether different fashion, incoming freshmen were targets for the pair’s signature stunt. Les, the set-up man, warned newly arriving students about the “crazy” senior living upstairs in the dormitory. It was possible the upperclassman had contracted rabies and hydrophobia as the result of a recent skunk bite. Should there be an incident, Les gravely noted, it would be every man for himself. Later in the week, Weldon appeared on the freshmen floor of the dormitory dressed only in his undershorts, with toothpaste foaming from his mouth. Yelling gibberish and brandishing a starter’s pistol he liberated from the track team, the “rabid” senior chased the gullible underclassmen down the hallways and out the front door. Presumably, most of them returned to finish the semester. Female students also endured their fair share of collegiate high jinks. The farm boys purchased a damaged coffin from a local undertaker and stashed their pine box in the trunk of Les’ car. Double dating with two wide-eyed and unsuspecting freshmen, Weldon and Les began the evening by acting the part of sophisticated seniors promising to show the girls around town. Gradually, the boys’ All-American demeanor changed into something much more sinister. Over the course of the night, they talked cryptically of “needing to dispose of a problem” and “finding a suitable location.” Eventually parking on a secluded country road, Weldon and Les excused themselves to the back of the car, where they dramatically unloaded the coffin and dumped it into the roadside ditch. When the terrified coeds demanded an explanation, the pair reluctantly admitted they worked for gangsters and were disposing of “someone who had double-crossed the boss.” It’s a safe guess the girls refused a second date with the pseudo hit men. Somehow amidst the jokes the pair completed their educations, and after graduating with a degree in education, Les became the superintendent of a small country school in Denton Valley, an unincorporated settlement about twenty miles southeast of Abilene. Weldon returned to his family’s ranch, also near Denton Valley, and assumed the life of a college-educated rancher, an unusual credential for those days. Although the two remained close friends, their girthy repertoire of practical jokes slimmed down to occasional stunts involving unsuspecting church friends and ranch hands. In January of 1941, with the country shuffling and mobilizing for war, the Denton Valley School found itself in need of a new English teacher. In those last painful days of the Great Depression, as jobs remained scarce, the local school board limited teacher employment to “heads of households,” defined as unmarried women or married men. According to the unenlightened policy of that time, if a single woman chose to marry, her employment immediately terminated in favor of someone deemed “more necessitous” of the position. As superintendent, Les asked Weldon to accompany him to interview teacher candidates at Howard Payne College, a small liberal arts school about 60 miles away in Brownwood. Aside from being Les’s best friend, Weldon’s qualifications as an interviewer aren’t entirely clear. He wasn’t a school board member or an administrator, and his expertise extended to Herefords, not Shakespeare. In respecting the Denton Valley School Board’s policy, the two college buddies exclusively interviewed unmarried female graduates, with Les introducing Weldon as his “special advisor.” One English major in particular caught the attention of both men—Dorothy Jean Soules, an attractive, enthusiastic nineteen-year-old senior from a small community in Central Texas. Decades later, she would remember the handsome interviewers, only five years older than herself, seemed less interested in her transcript and resume, and more focused on how well she filled out her sweater and skirt. After consulting with his special advisor, Les offered Miss Soules the teaching position on the spot. Her employment was subject to the approval of the school board, he explained, and would require a contract provision that should she marry, her job would immediately terminate. Before accepting his offer, the senior coed questioned Les about the school, her duties, and responsibilities. Worried that she might seem inconsiderate by leaving Weldon out of the conversation, she asked whether there would be a room or an apartment to rent somewhere in town. The cowboy-turned-education-expert immediately suggested the president of the school board and his wife, Mr. and Mrs. Barton. They boarded teachers on occasion and, coincidentally, lived directly across the road from his family’s ranch. Trying his best not to sound too eager, he offered to introduce Miss Soules to his neighbors. Hesitating for a moment, he added that Denton Valley was not really a town, since it no longer had a post office, but was more of a settlement. Weldon hoped she wouldn’t be disappointed in living in a rural area. The prospective teacher knew all about country life, she said, from growing up on a ranch and graduating from a school about the size of Denton Valley. Unfortunately, she didn’t own an automobile and would need transportation to and from work. Would she be able to ride the school bus? After receiving a positive response regarding her transportation, and with no other job prospects in sight, the young lady accepted Les’ offer of employment. After all, a paycheck was a paycheck. A week later, even though she’d never seen her new school, Dorothy Jean Soules packed her bags and moved to West Texas. Delivered by her parents to the intersection of two lonesome gravel roads, and spotting the neglected, weather-beaten signpost that read “Denton Valley,” she surely must have second-guessed her career decision. Besides the cream-colored flagstone school, then comprised of only eleven grades, the settlement consisted of an exhausted cotton gin; two paint-peeled, clap-boarded churches; a long-abandoned blacksmith shop, and a barn-like country store which sold fresh eggs, ammunition, and gasoline. Sadly, the most attractive feature of Denton Valley seemed to be its cemetery, a postcard-worthy patch of land with native post-oak trees randomly interspersed among the uncrowded rows of tombstones. After the new teacher settled into the Barton family’s spare bedroom, Les and Weldon immediately competed for her attention. Both quickly decided against swallowing goldfish or performing other stunts to impress her, because unlike the flighty freshmen of their college days, this woman was different—confident and poised, and although possessing a playful sense of humor, she displayed little regard for sophomoric pranks. Despite being only a few years older than most of her charges, Miss Soules demanded hard work and exceptional performance. She encouraged the students to broaden their horizons and consider careers that seemed beyond reach. Decades later, these same students—now doctors, lawyers, and prominent business people—would continue to communicate with their favorite teacher, often commenting on her influence on their lives. During the day at school, Les pressed his advantage of working with the new teacher, but Weldon’s proximity to her boarding house gave him the upper hand in the evenings. The courting rivalry, always good-natured, continued throughout early 1941, with the young men agreeing that no matter who won her heart, they would remain close friends. Both admitted it would be a difficult promise to keep. Gradually, the young teacher’s affections favored Weldon; but since Les employed her, she hesitated to suggest he was losing the battle, for fear he would not extend her contract. Just before the end of the spring semester, the superintendent gathered all the teachers into the school lunchroom and presented them with renewal contracts for the 1941-42 school term. Consistent with prior agreements, it retained the prejudicial clause regarding teachers remaining single. On April 23, 1941, Miss Soules signed her contract, which was approved and counter-signed by the school board president, Mr. Barton, as well as her superintendent, Les. Then, two days later and barely four months after arriving in Denton Valley, Miss Soules and Weldon eloped to Breckenridge, some 60 miles away, in what must have been the most dangerous and exhilarating weekend of their lives. Secretly married by the justice of the peace, they kept their nuptials quiet until the end of the school year. Dorothy Jean continued to work for the superintendent and live in the school board president’s spare room, as if nothing had happened, but rendezvousing with Weldon whenever possible. Les must have wondered why his favorite teacher’s affections toward him suddenly cooled and why she was no longer available for courting. After the school term ended, the newlyweds revealed their marriage to the flabbergasted superintendent. Hoping Les would honor their commitment to remain buddies, Weldon explained it as a “practical” joke—practical in the sense that Les would have been forced to fire his best friend’s bride had he known the facts. Les, heartbroken over losing out to Weldon, was nevertheless a good sport and wished the couple well. He immediately set about recruiting a replacement English teacher—this time without his special advisor. That fall, Dorothy Jean managed to secure a position at Eula, another country school nearby, but one without the antiquated requirement of teachers having to be the “head of the household.” In time, she would retire from education to concentrate on raising three sons, including this writer, and helping Weldon on their cattle ranch. Eventually, the community of Denton Valley, as well as its school, would dissolve into a distant but pleasant memory, memorialized only by a roadside marker at the picturesque country cemetery. Pearl Harbor would change the Greatest Generation’s focus from sitting atop flagpoles and swallowing goldfish to more weighty matters—building thousands of bombers and tanks, retaking the shores of Normandy, and defending obscure Pacific islands. Shortly after the United States declared war, Les left Denton Valley for service to his country. After the war ended, he settled in Dallas and pursued a career in the natural gas business. 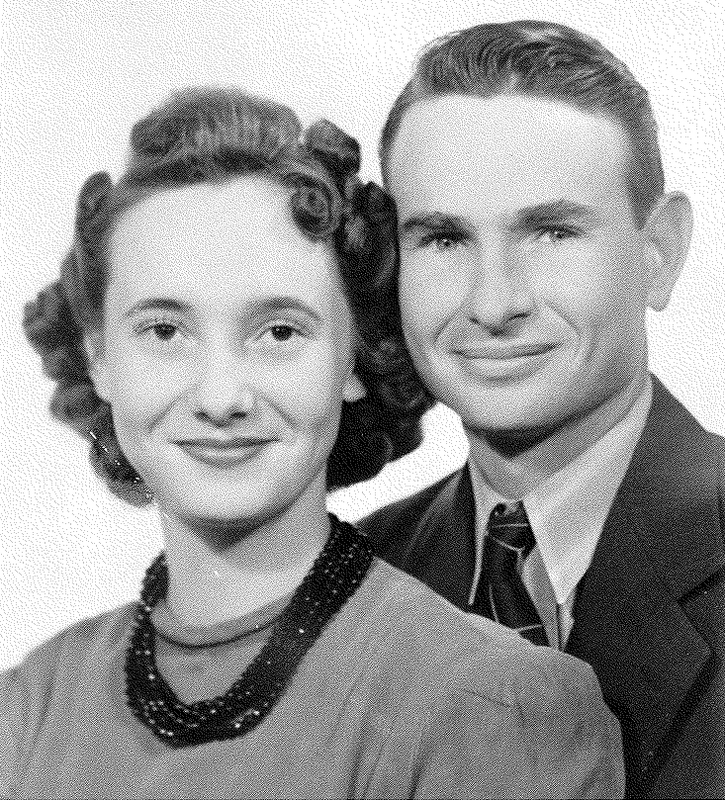 He found and married a love of his own, but continued his special relationship with Weldon and Dorothy Jean for the next 60 years. Maintaining an active friendship through those years, the now-mature farm boys continued to play jokes on their friends, and occasionally, even their wives. But none would ever surpass the “practical” joke Weldon and Dorothy Jean played on Les in the spring of 1941. Murray Edwards pretends to be an agricultural commodity trader when he's not pretending to be a West Texas rancher. His first book of short fiction, Looking for Lucy Gilligan, won a silver quill award and was named one of the ten best Texas books for 2009.